Organisers. Lorenzo Galeotti, Benedikt Löwe, Philipp Lücke. Descriptive set theory and set theory of the reals traditional deal with well-known and well-studied topological spaces such as the real numbers, Cantor space, and Baire space. In recent years, set theorists are increasingly interested in the uncountable analogues 2κ of the Cantor space (generalised Cantor space) and κκ of the Baire space (generalised Baire space) for uncountable cardinals κ. While many concepts from the classical setting can be transferred to generalised Baire space and some classical results remain true at uncountable cardinals, in general the rich combinatorial nature of uncountable cardinals causes the theory of the corresponding spaces to differ significantly e.g., notions which are equivalent in the classical setting can lead to different notions in the generalised theory. Phenomena like this shed light on structures and properties otherwise hidden in the classical setting. The study of generalised Baire spaces has developed into a research area in its own right with a rich overarching theory, internally motivated open questions (cf. Khomskii, Laguzzi, Löwe, Sharankou 2016) and an active research community, combining methods and techniques from several branches of set theory like uncountable combinatorics, forcing, large cardinals, inner models and classical descriptive set theory and also involves techniques from classical model theory. 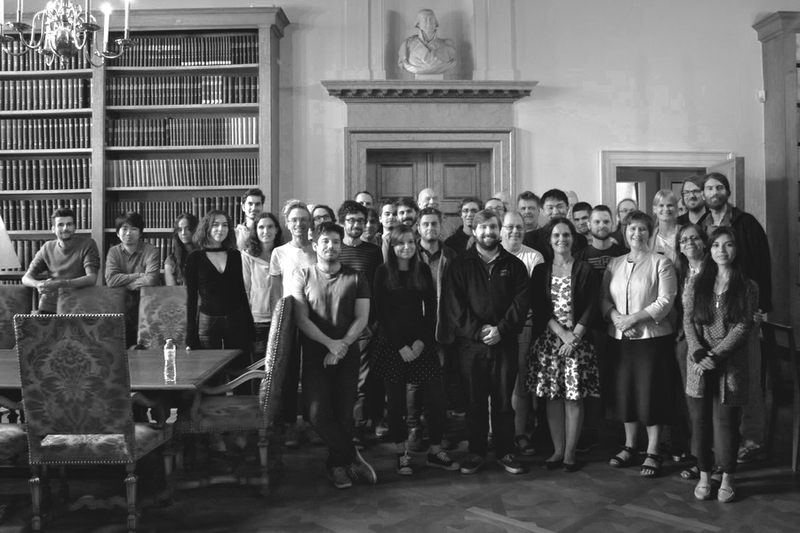 The community met first at the Amsterdam Set Theory Workshop 2014 in November 2014, then at a satellite workshop to the German mathematics congress in Hamburg in September 2015, and finally at a workshop at the Hausdorff Center for Mathematics in Bonn in September 2016. This Academy Colloquium is a reunion of the community after a hiatus of two years.